Whilst we’re off the topic of video games themselves for the moment, why not turn our attention to one of THE most popular and influential magazines of the Spectrum era, the amazingly spectacularly crap (in a funky skillo sort of way) Your Sinclair. 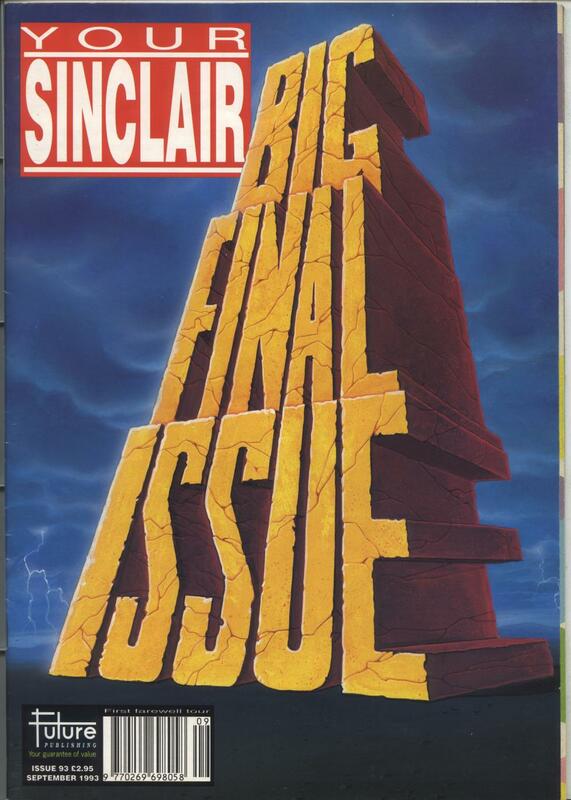 Your Sinclair, or YS as it was affectionately referred to, started life as a slightly more technical affair called Your Spectrum, however due to the QL launch (and much hyped potential), the magazine closed and relaunched as the Your Sinclair we knew and loved so well. Unfortunately for myself, I missed out on a lot of the “Golden days” of Your Sinclair, only beginning my collection from issue 49 (with N.O.M.A.D. and Bilbo and the Lizard King on the covertape), but straight away YS had its impact on me. The way the reviews were written, the way the letters were answered, just about everything in there really, all contributed to the way I spoke and talked about things. 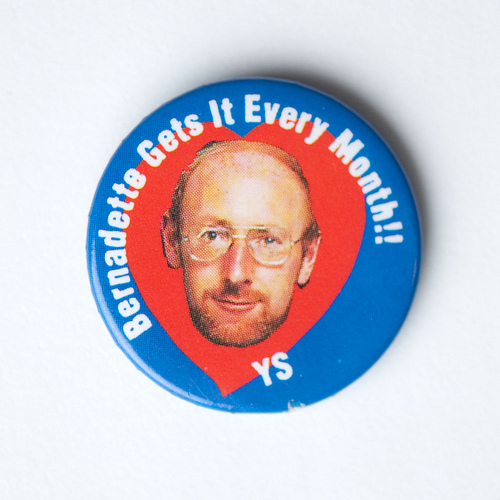 Stuff wasn’t “rubbish” anymore, it was “crap”. If something was good, it was “Brillo”. Scary statements could be proceeded with “Yikes”. 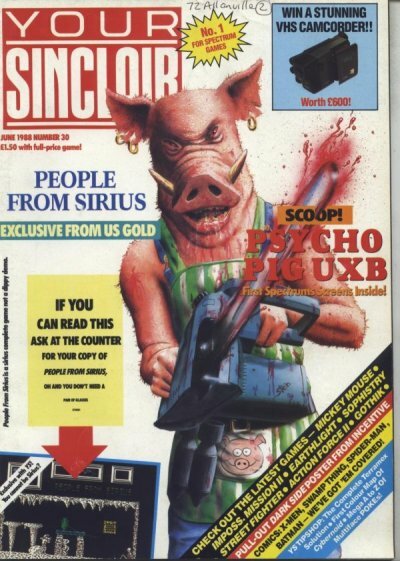 Sarcasm and humour were key ingredients to most articles, which is probably why it was such a cult smash magazine, outlasting both Crash and Sinclair User by a long margin. Among the regular sections were the usual “Tipshop” and Letters pages, supplemented with columns from the Pico family (long story), Marcus Berkmann’s clinic, the Trainspotter award, Around The World (a section where people from foreign lands could write in with profuse amounts of Engrish). Other regular features included Program Pitstop (type-in listings and hexadecimal machine code), Input Output (Classifieds), Pssst (latest industry news and sneak-peeks), Megapreviews (first in-depth look at forthcoming games) and more. Some features ran for a limited time, such as Spec Tec (Technical queries answered), the Programming Launderette (spawning the amazing game, The Pathetic Pablo Brothers), Crap Game Corner (Readers’ games reviewed, some were actually pretty good! ), Haylp! (problem page introduced to TRY and pad out the dying mag with the distinct lack of reviews forthcoming) and “Complete Guides”, which covered whole genres of games such as Beat ‘em-ups, Shoot ‘em-ups or platform games (and the rest), giving a humorous look at the essential ingredients for each genre, and a run-down of the best and worst examples. Occasionally we would be treated to a photo-love story, or the brilliant “Competition on every page” (issue 50!) or some other wonderment of one-off article (Rich Pelley’s Guide to YS-Speak was particularly enlightening). Blessed with a covertape practically every issue (certainly from when I started reading it), some fantastic full games were given away over the years, from N.O.M.A.D. on issue 49 (a game I would have hunted down from playing in Comet), including Chaos (twice due to popular demand, and stretched tapes from the first time round), Dizzy, Ninja Hamster (eventually), Captain Blood, Advanced Lawnmower Simulator and many MANY MANY more. Advanced Lawnmower Simulator - The original "Crap Game". The magazine writers (Joystick Jugglers, as they were known) were a varied bunch, the first lot I remember included Matt Bielby as editor, Dave “Whistlin’ Rick” Wilson, Marcus Berkmann (who I think went on to write for a major national newspaper), and Johnathan Davies (famous for owning a pet Warthog called Farty). Other faces to come and go included the hippy Andy Ide, Jon Pillar, Maryanne Booth, Andy Ounsted, Rich Pelley, Duncan MacDonald (Yibble), Jon Nash, my teenage crush Linda Barker, and freelance/regular contributor Stuart Campbell (whose crowning achievement was probably the all-time top 100 games article). It got that even regular readers became well-known through the letters/tips pages, including the Ellesmere Port Elf, Leigh Loveday, (who put together the Complete Guide to Your Sinclair for the Big Final Issue), Stephen “Not Sven Andersson” Anderson, and the comic-strip by Phil McCardle that became a regular feature, Ernie the Psychotic Madman. Being a Your Sinclair reader was like being part of a special club, I felt it a great privilege to be a reader, in the same way a regular watcher of Monty Python’s Flying Circus felt it a privilege to see that particular form of comedy. 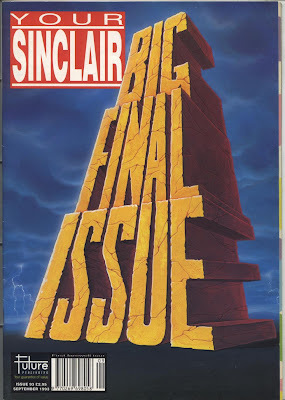 When I read that Your Sinclair was closing down, and there was to be a big final issue, no matter what the cost, I wasn’t going to miss it. I had to hassle the newsagent I usually bought the magazine from to get it in (they were reluctant, but finally convinced), and despite the slightly high price tag it was absolutely worth it, and is still a treasured possession today. No matter what, I won’t be selling it for many years to come. 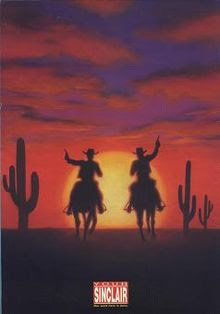 Seeing the page numbers (which counted down to the end, a great touch) and the back cover (2 cowboys riding into the sunset, with the slogan “Your Sinclair… our work here is done”) still brings a lump to the throat, because, quite simply, no other magazine has come close to reviving the feel and spirit of YS. 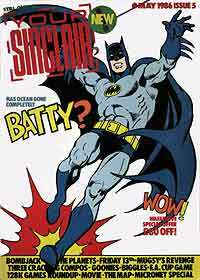 No other magazine (with the exception of Retro Gamer) has made me want to purchase it month after month. No other magazine (even with old YS writers) has been able to nail down the persistent entertainment that YS sustained to the end. One of the final articles in the Big Final Issue was a Chaos battle between some of the editorial team. That was truly a fantastic article, and worthy of the price tag alone. Fortunately for everyone, the World Of Spectrum archive has preserved Your Sinclair in digital format, and with a site like the “Your Sinclair Rock and Roll Years” keeping us up to date with the old writers and anything new that might crop up in the world of Your Sinclair, or indeed the Spectrum, rare as it may be these days. You can find that website HERE, and the World of Spectrum archive? Right HERE, my friend. With that in mind, it’s not too late to check out the glory of the perfect magazine. Believe me, I could write for hours about the content, quality and humour contained within the many pages of Your Sinclair. Even when they had to introduce pages like Haylp! and The World to pad things out a bit, they were still done in the YS way. Their work here may be done, but their legacy will live beyond all expectations.